Ever had difficulty inspiring your children to consider and discuss philosophical concepts? Philosophy in the Classroom helps teachers tap in to children’s natural wonder and curiosity. The practical lesson plans, built around Aesop’s fables, encourage children to formulate and express their own points of view, enabling you to lead rich and rewarding philosophical discussions in the primary classroom. provides fifteen key themes including happiness, wisdom, self-reliance and judging others as the basis for classroom discussion. uses powerful and creative drawings to illustrate activities and photocopiable resources. 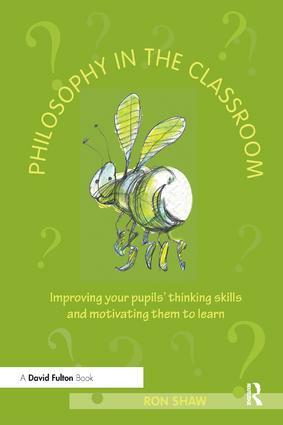 Philosophy in the Classroom is an invaluable resource for any primary school teacher wanting to engage their students in meaningful philosophical reflection and discussion. Ron Shaw has many years of classroom experience and is the author of more than forty books helping primary and secondary school students to improve their thinking skills.